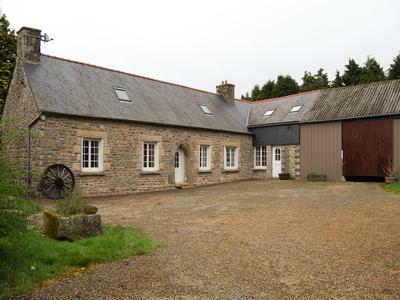 If you’re looking to buy property in Brittany or just thinking about it, here’s a good place to start. 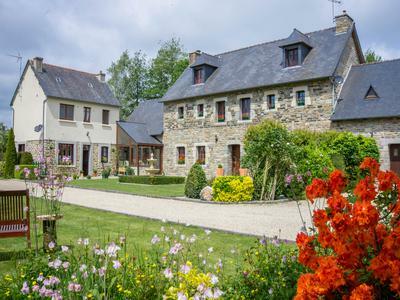 Browse though the latest property listings from Leggett Immobilier. Whether you’re a larger estate agents or only represent a few properties, if you’d like to see them listed here please contact us for details. 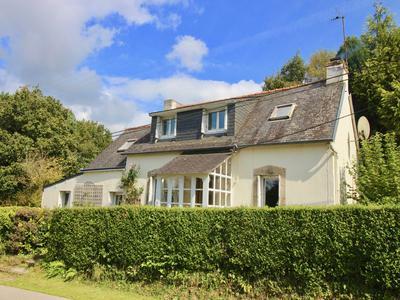 Property for sale in Brittany from private sellers. To view the full list of properties see Properties Sale/Rent in the classifieds. 2-3 bedroomed house for sale. 95123VLA29 - € 347517 - Stunning, secluded 2 bed Stone Cottage with amazing conservatory and separate studio accommodation set in an oasis of sunshine as you drive through the countryside! All this set in 1.6 hectares of land! 99435GLO22 - € 141700 - Superb location for this unique 3/4 bedroom property with lots of character. Situated down a no through road with a track leading down to the Nantes Brest Canal. 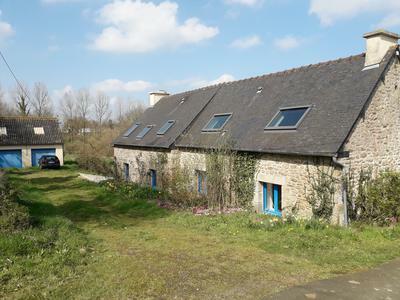 The property is in an elevated position with a view of the canal and surrounding countryside. 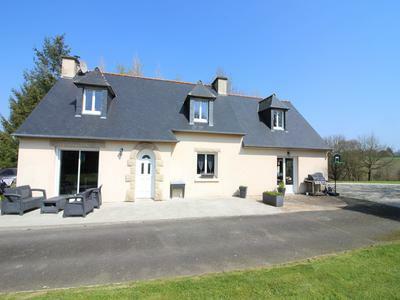 99389CCU56 - € 123500 - Delightful,detached stone 3 bedroom /two bathroom cottage surrounded by its own beautiful grounds, with garage and swimming pool. 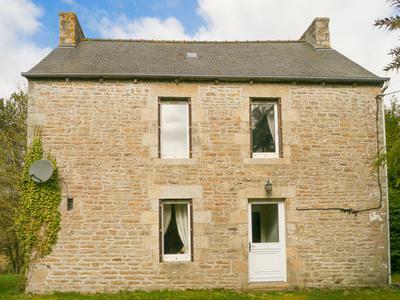 99322KHC22 - € 70400 - 1 bedroomed stone built house near Gausson, with room for expansion. 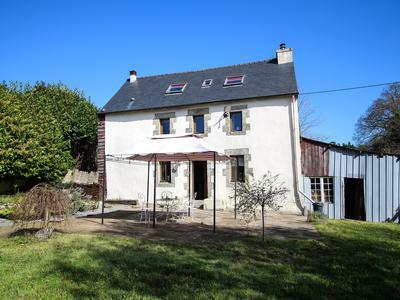 99343JHK35 - € 122500 - Renovated 3-bed house, garden and extra land, potential for additional lounge/large room or maybe converting to a 2 bed house + 1 bed gite - perfect! 99254CCU56 - € 55000 - BARGAIN OF 2019. Very pretty solid property, 2 bedrooms/one bathroom with endless possibilities to extend and improve. in a small hamlet 1 km from main village with amenities. 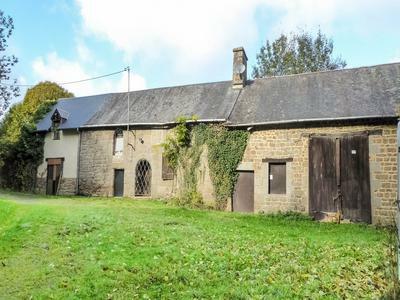 71112RL35 - € 88000 - Spacious stone house to renovate in over 7 hectares. Beautiful rural setting on the Brittany/Normandy border. 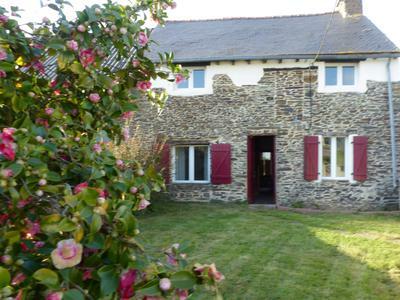 99172CCU56 - € 82000 - Pretty stone cottage 3 bedrooms and 3 bathrooms, in a small hamlet close to amenities. 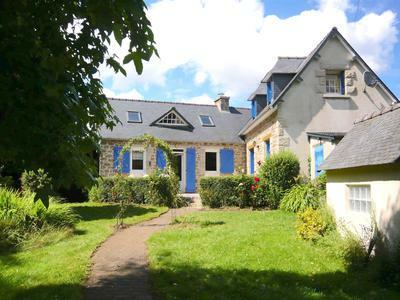 99213GLO22 - € 124200 - Absolutely charming and tastefully renovated 2 bedroom, stone longere. 11kms from Mur de Bretagne and Lake Guerledan. 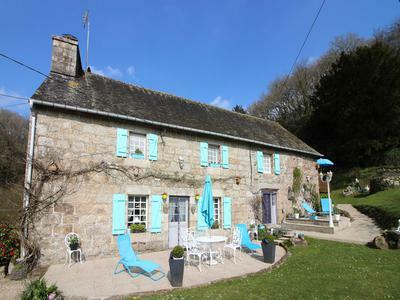 A fantastic location as a permanent or holiday home in central Brittany. 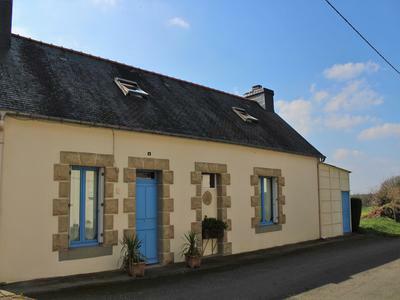 99220CCU56 - € 148995 - Charming 3 bedroom stone cottage with garage, swimming pool and stunning views. Less than 30 minutes from Vannes. 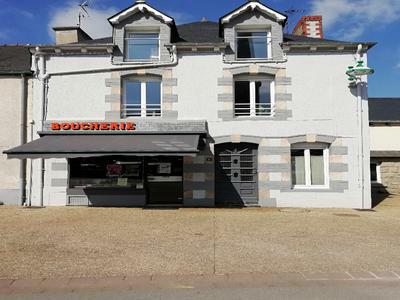 99221BGA29 - € 335000 - Great neo-bretonne on the outskirts of lively Breton town near the sea! With 5 bedrooms, it has everything, and more! 99223HCO22 - € 585120 - Escape to the Chateau with this breathtaking 15th Century Manoir in superb order including detached longère and cottage. Coastal location. 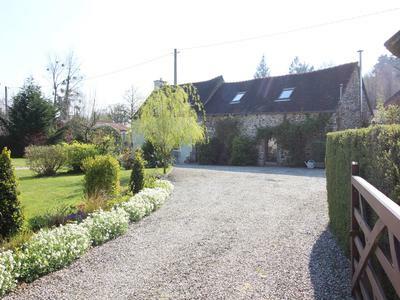 74626GLO22 - € 214000 - Superbly renovated 4 bedroom longere with outbuildings and pretty gardens situated in a quiet hamlet in Central Brittany. 99008CWE29 - € 118810 - New house Commana, in Armorica Regional Natural Park. 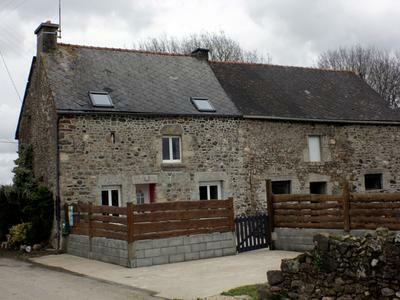 99153CBN22 - € 142560 - Large stone house, in a quiet and lively village in central Brittany, lots of privacy with enclosed garden. On the outskirts of Quénécan Forest, few kilometers from the Abbaye de Bon-Repos, Nantes to Brest canal and lake Guerlédan. 99173JRD22 - € 246000 - Immaculate house built in 2002 in perfect condition in peaceful location. 99175GLO22 - € 162000 - Immaculate modern house with easy to maintain garden, tastefully decorated and ready to move into. 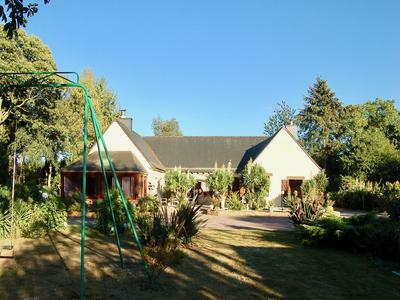 The house is in a very peaceful position in a small hamlet just outside the village which has boulangerie, bar/tabac. 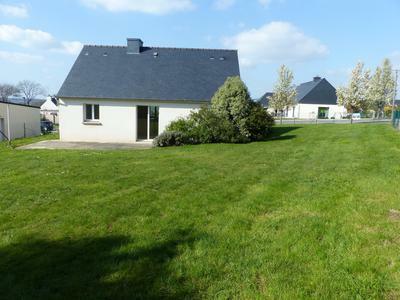 98687SSI22 - € 453680 - Magnificent, fully renovated detached property, comprising a 3-bed house, a 4-bed house, stable block, barn and outbuilding with over 7 acres of land. 99092NBE56 - € 348500 - 6km Lizio. 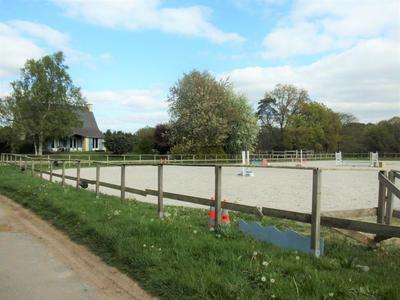 10km Josselin - Very Rare – Equestrian property with over 37 acres of prairie and woods, including a 4 bedroom contemporary house, 2 dressage arenas , 7 paddocks, 11 boxes and outbuildings . 99124KHC22 - € 318000 - Very close to the beautiful beaches of Sable d'Or! Spacious house with 4 bedrooms, 2 bathrooms, swimming pool, and a huge covered terrace with a spa pool. 99128PDB56 - € 255600 - A remarkable and quite impressive 4 bedroom neo Breton house with heated swimming pool, garden and close to Quistinic. 99131GLO22 - € 299600 - Unique mill property with private river and approx. 10 acres of woodland. Parts of the property date back to 1511. Beautifully restored to provide a wonderful 3 bedroom property retaining all the character but now suited to a modern lifestyle. 99132ELT22 - € 296800 - Walk to the beach!Charming house with sea view, 4 bedrooms, nice garden.In Pleumeur-Bodou, on the pink granit coast, close to Perros-Guirec, Trébeurden, Trégastel. 98898CCU56 - € 99500 - New build property in the centre of a village 2 bedrooms, 1 bathroom, with garage and enclosed garden. 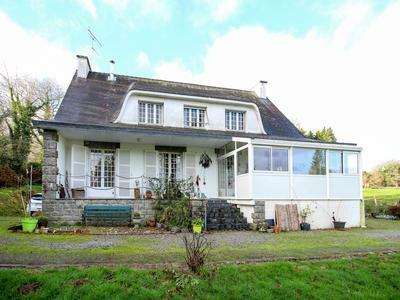 98968CCU56 - € 249950 - Business property with beautiful family home above. 4 bedrooms/2 bathrooms. In a village with all amenities. 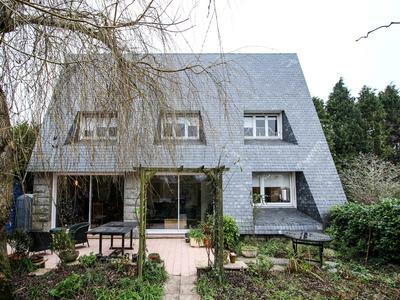 95906VLA29 - € 128620 - A 4/5 bedroom house tucked away on the outskirts of Cleden Poher. Large L shaped living room with open fireplace and 2 large patio doors opening onto the garden. 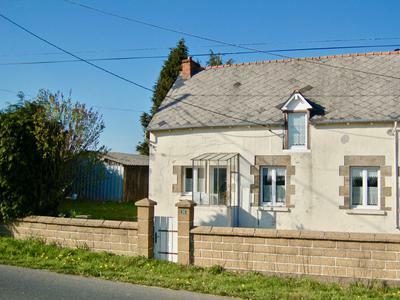 98940PV56 - € 160000 - UNDER OFFER at present -Close to Vannes – Bohal - Detached 3 bedroom cottage in a pretty enclosed garden, with garage. 98965VLA29 - € 267500 - Imposing house with 5 beds tucked away and yet within walking distance of the town centre. 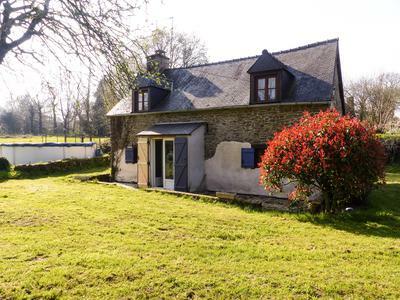 98923VLA29 - € 116000 - Charming character cottage, 3 beds, completely renovated, lovely views, set in the hills of the Montagnes Noires. 98944ELT22 - € 428500 - Paimpol! 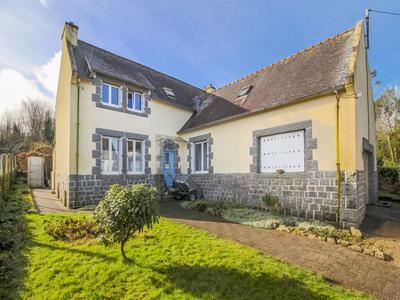 Quiet and comfortable 185 m2 house, with 4 bedrooms, 2 bathrooms, a beautiful garden of 1800 m2.Close to the city center, harbour, beaches, Bréhat. 98720HCO22 - € 149800 - 1930s 4-bed town house in quiet street with exceptional garden. Amenities on the doorstep and 30 mins to coast. 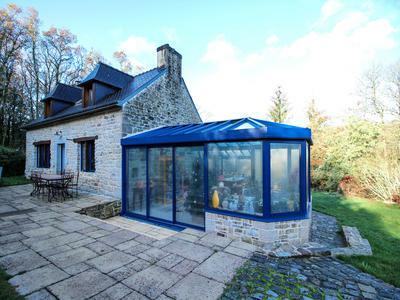 98777BVS56 - € 199000 - Superb quality house in an enviable position in the old quarter of Saint Croix in medieval Josselin. Beautiful indoor and outdoor living space in this property with business potential. This is a MUST SEE property!! 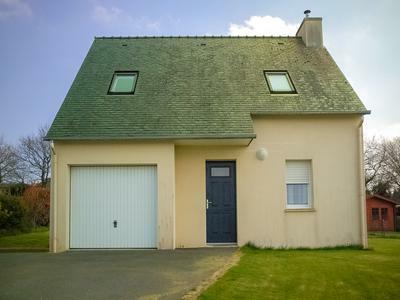 98889JRD22 - € 90000 - Stunning spacious 2 bedroom house situated only a couple of minutes drive from Mael Carhaix. The house is in fantastic condition and is bright and spacious. 98835NBE56 - € 679250 - Penestin and beaches - Coastal Property offering ocean views and just a short stroll to a delightful small beach and bay. Do not pass up the chance to purchase this immaculate property having undergone a high level of renovation with an enclosed landscaped garden. Move in and enjoy from day one!